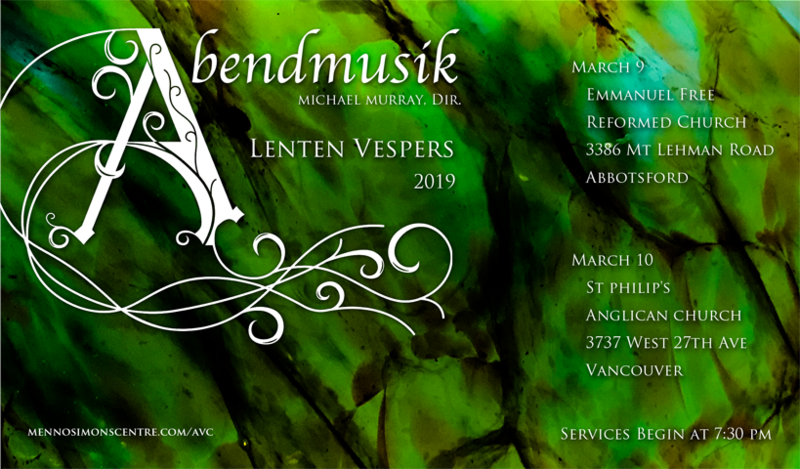 Please join the Abendmusik Vesper Choir at 7:30 p.m. for an hour of Choral Music for the Lenten Season season. See maps and links to driving directions on the “Hear us sing” page. You can add an appointment to your calendar application by downloading the ICS file for Sat. Mar. 9 or Sun. Mar. 10. Why apply to live at Menno? Watch our promo video!